The third presidential debate, technically on the economy, often devolved into personal attacks over corruption, personal gains at public expense, nepotism, and association with human rights abuses. The angry sniping and name-calling played out largely between President Hassan Rouhani and his two most conservative opponents— Tehran Mayor Mohammad Bagher Qalibaf and conservative cleric Ebrahim Raisi. 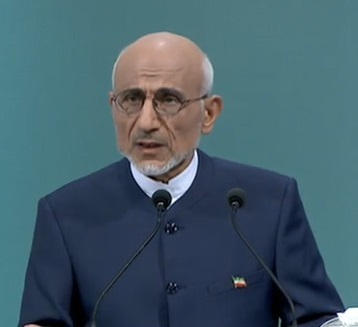 During the three-hour debate among six candidates, the conservatives repeatedly threw out data to discredit Rouhani’s administration and his family’s finances. The President dismissively hit back with his own counter-charges, suggesting that the two conservatives were linked to crackdowns against students and dissidents. In what appeared to be a preplanned stunt, Qalibaf went on the offensive. 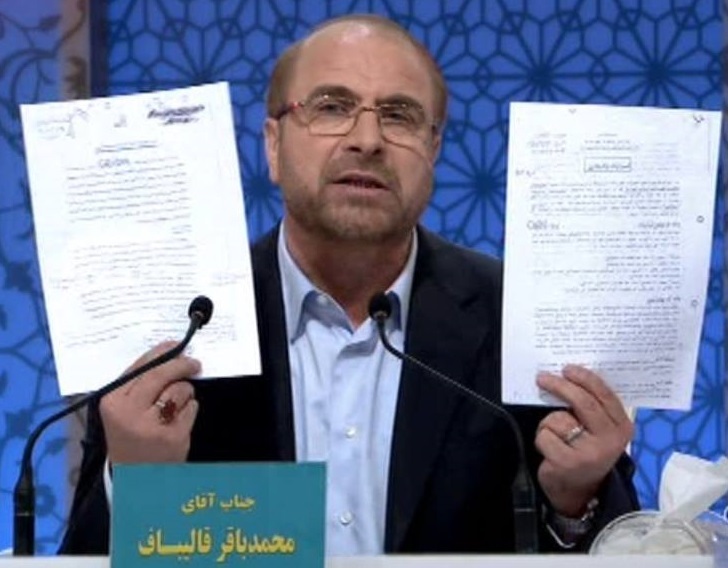 He accused Rouhani and Vice President Eshaq Jahangiri, another of the six candidates, of buying land at drastically reduced prices as far back as the 1980s. He held up deeds to properties owned by the families of both men. As Qalibaf spoke, hardline news outlets simultaneously released the deeds to the Jahangiri properties on social media. Qalibaf also charged that current government officials, including Jahangiri, were pocketing inflated salaries. 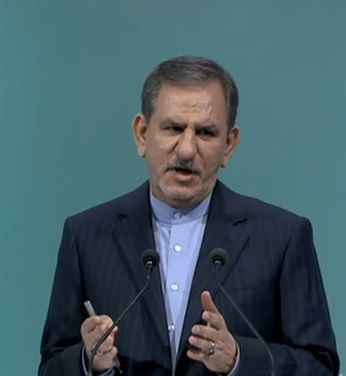 Jahangiri, who was often the most energetic debater, accused Qalibaf of slander. “You wanted to launch a smear campaign, but they gave you wrong information,” Jahangiri retorted. “I only have my house. I have no other property. If I have anything, I’ll give it to you,” he quipped. Rouhani was even tougher on Qalibaf. In 2005, when he was National Security Adviser, Rouhani said he had been in possession of a file on Qalibaf that could have ruined his career. The president alleged that Qalibaf, Iran’s former police chief, had bragged about his ability to swiftly suppress student protests. “If I had not prevented disclosure [of the file], you would not be sitting here,” Rouhani said. Rouhani also called Qalibaf a hypocrite—and said he should examine his own relatives’ financial dealings. Rouhani also had a verbal showdown with Raisi, a former attorney general who has been named as a possible successor to Supreme Leader Ayatollah Ali Khamenei as well as a future president. Rouhani questioned Raisi’s record as a judge who acted with virtual impunity. “You’re a judge, you can do what you want,” he said. "You're also prosecutor of the Special Court for Clergy, you can detain any cleric. We have to ask clerics what they have gone through at your hands." In turn, Raisi charged that Rouhani’s ministers were incapable of fighting corruption because of their involvement in private businesses. He also claimed that Rouhani blocked a corruption probe against his brother, a special presidential adviser. 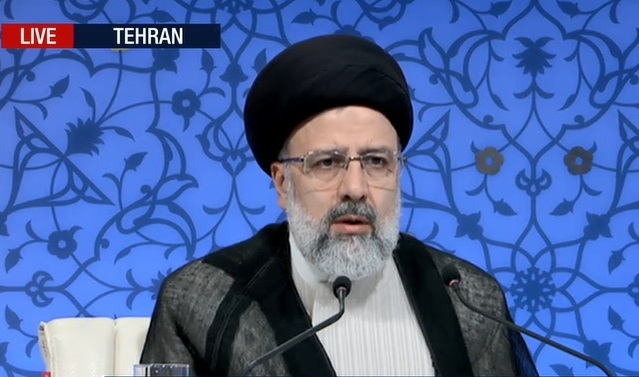 **UPDATE: Qalibaf has dropped out and thrown his support to Raisi. The following are the candidates’ main points. Pledged to encourage both domestic and foreign investment, including working with international banks. Vowed to do whatever is necessary to lift all remaining foreign sanctions on Iran. Promised to spend $15 billion out of Iran’s $20 billion in revenue from oil and gas sales on investment and another $3 billion to help the needy. Highlighted the need to improve the quality of domestically produced goods to help boost exports and, in turn, improve the economy. Assured the continuation of cash subsidies but also promised to implement a comprehensive social security plan. Argued that increasing subsidies [as Raisi and Qalibaf have proposed] would require cuts to healthcare and construction projects in rural areas. Pointed out that Ahmadinejad-era officials were working for Raisi’s campaign. Noted that Iran reclaimed its market share from Saudi Arabia within OPEC and did not reduce its oil output along with the other member countries. Noted that Iran is becoming self-sufficient in some sectors, including wheat production. Criticized Rouhani government for allowing widespread tax evasion while requiring small workshops to pay value added taxes. Raised questions about why so many corruption cases have been generated against the Rouhani administration, but no disciplinary measures have been taken. Accused the government of allowing the price of water, electricity, gas and fuel to rise at a faster pace than subsidies for the poor. Claimed that poverty has increased from 23 percent to 33 percent of the population under Rouhani. Claimed that some 250,000 workshops have been closed under the current government. Accused Rouhani of manipulating statistics by claiming that non-oil exports have risen, when they have decreased by 10 percent. 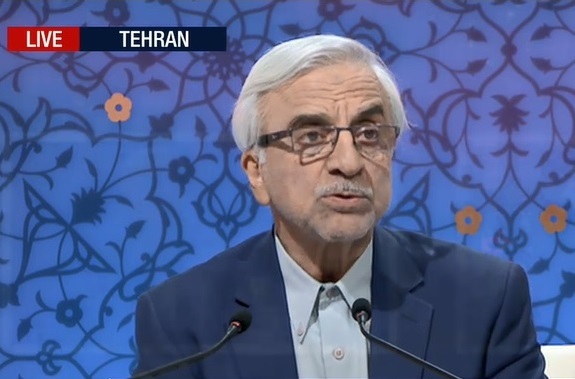 Highlighted that economic growth was at seven percent, but Rouhani neglected to mention that oil revenues alone accounted for six percent of the growth. Accused Rouhani of promoting the inauguration of projects in provinces just for the sake of his campaign. 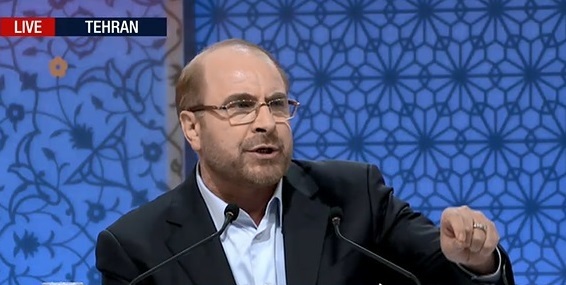 **On May 15, Qalibaf dropped out of the race to support Raisi. Accused Rouhani administration officials of taking home inflated salaries and doling out perks worth billions of tomans to their colleagues while workers barely made ends meet. Accused ministers of investing private businesses and using their positions for personal gain. Called for taxing the wealthy while tackling the 40 percent tax evasion rate. Tax evasion stands at 40 percent in Iran. Taxes should be levied on the wealthiest people. Pledged to create 5 million jobs in four years, including 1.2 million in rural and other disadvantaged areas, is possible. Argued that the top four percent of Iranian society are the only ones who benefit from imports and that they hold too much economic power. Claimed that prices of basic necessities, including sugar, have more than doubled during the last four years. Claimed that the number of unemployed individuals is 6 or 7 million, rather than the 3.5 million, as reported. Promised to provide youth with a monthly stipend while they look for work. Accused Rouhani and Jahangiri of purchasing land at prices way below market rate in the 1980s. Accused Qalibaf of selling apartments and other property at low prices and preventing investigations by parliament and Tehran’s city council. Claimed ath he jailed a whistleblower for three months. Noted that the government has absorbed $10 billion in foreign investment and banking resources have grown by 43 percent in four years. Recalled that Ahmadinejad’s administration treated the banks like their own treasury and that Rouhani’s government has had to clean up the mess. Noted that the government has cut the amount of smuggling down from $25 billion to $12 billion worth of goods. Argued that increasing subsidies as Raisi has proposed would create inflation. Called for modernizing and expanding Iran’s agriculture sector. Argued that production of goods should be export-oriented to boost the economy. Called for investigations into the owners of 114 docks allegedly being used to smuggle goods into Iran. Highlighted the need for Iran to project power to protect its interests abroad. Called for using crude oil sales to provide basic commodities to people. Criticized the government for its dependence oil exports. Accused Rouhani’s government of not taking advantage of the nuclear deal’s opportunities to boost trade. Criticized the government for frequently changing export regulations and not coming up with a plan to increase exports.